Join us for a day of music with an exceptional line-up of artists. UK Black Music is currently in an exciting place right now, so we at Contact have assembled a day and night of events and activities celebrating Music of Black Origin. The event will bring together established musicians, industry professionals, emerging artists and the wider community. Do you want to know what it really takes to become a successful rap artist? Take part in this one time only workshop opportunity. Here you will gain invaluable skills in writing prowess, open up your word play ingenuity and learn inside tips and tricks on how to get your performance down to a fine art. Led by Nathan Joseph, an established and championed rap artist with a number of albums. Delivered by a reputable music producer, explore how to compile, compose and produce Grime beats using Logic Pro X in the format of a studio session. If you’re ready to step up your game and hone your music production wit then this master class is for you. Thirty Pound Gentleman brings his acclaimed seminar on The Future of Black Music to the Contact hub. Ruby-Ann Patterson, Dean Bryce (Boiler Room), Yaw Owusu (Liverpool International Music Festival) plus various innovative Manchester bred music industry professionals, make up this impressive panel. This is an exciting opportunity for the live audience to debate and disseminate with industry professionals on where the black music industry is heading. 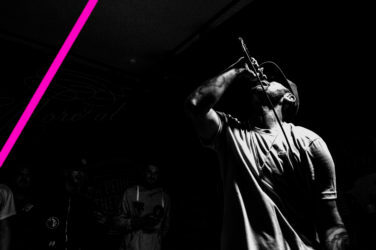 Mic Righteous, Children of Zeus and our very own Level Up Collective: No Space, take over the Contact stage for a night of raucous grime, energy and vibes. (Level Up Collective members include: Blakk Ice, C-Prophecy, Tobija, Poochie, TrueAubz, Shaquille Rayes, Tomonomous, Zoe, Joy and Blue). Leanin’ are orchestrating musical madness at the After-Party. Expect to dance the night away to exclusive tracks, beat by beat wizardry and the latest hits of all genres. Accompanied with the liveliest Manchester crowd and speciality drink offers.